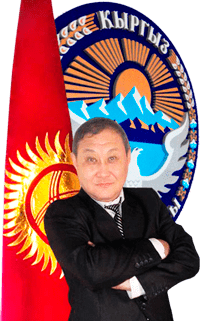 I worked with Mr.Erkin Sadanbekov in the summer of 2011 in promoting police reform in Kyrgyzstan. At the time I was the Director of the Central Asian Free Market Institute and was building public support for redical police reform. Given his 10 year + experience in Kyrgyzstan’s security forces he provided me with insights into the inner workings of the police, why they are unlikely to reform themselves and what is the best way to approach this entity. Our hours of discussion was invaluable for me in writing a neat policy paper on the subject and in one-on-one debates vs. senior officers of the Ministry of Interior. I will always be indebted to Mr. Sadanbekov for his help.